Discussion in 'Forum Introductions (Who are you!?)' started by Simon D. Davies, Nov 9, 2018. I literally stumbled across Millionaire Fastlane while reading through the contents of a marketing avatar sent to me by a client. The title made me jump on Amazon to check it out. Lots of big aha moments and slapping myself silly for the stupid mistakes I’ve made over the years. 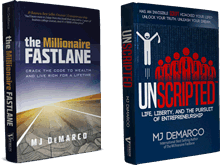 One of the things that really stood out for me in Unscripted (page 301) was a snippet about analysing business failures under the microscope of the Fastlane Commandments - CENTS. Although I am very ashamed to share this, I’m on my 12th business in 18-years and every one of my previous businesses have failed! The worst part is until reading Unscripted I’ve never actually sat down and wrote out why they failed. It was a sobering discovery. To be honest, I can’t say that right now I have total belief in myself to succeed as an entrepreneur because of my past performance. But I am willing to step up the plate again and start swinging for a home run. And with the knowledge gained from reading MJ’s two excellent books, I have a torch to light the way. RoadTrip, UnrealCreative, Sheens and 7 others like this. Welcome Simon. You show one clear trait that stands you in good stead to be successful. That is persistence. Also don't beat yourself up too hard on your past attempts, you would have won valuable knowledge in your failures and learned another key skill, not to overly fear failure. That, and with the help of MJ's tutorage together with the wealth of knowledge and guidance within this community you stand a very good chance of making your next business venture a success. rpeck90, UnrealCreative, Fastlane Liam and 2 others like this. Simon D. Davies likes this. Thanks for sharing, Simon. Don't be ashamed, it's actually a badge of honor to keep getting up when the market is less than receptive to your efforts. As long as you keep learning from your mistakes, you'll eventually strike gold. Sheens, Simon D. Davies and RazorCut like this. Welcome to the forum Simon. I started my first real business 3 months ago just to get something started, and after seeing the results and realising that it violated most of the CENTS, I'm pretty sure its going to fail! I would really love to see a thread written by you with reasons for why your 12 previous businesses have failed so far. Would be a great read for a young entrepreneur like me. I'm sure you've got a great story to tell! 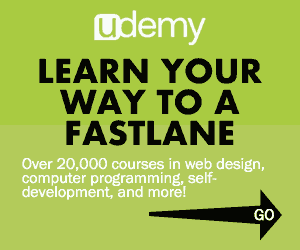 Fastlane Liam and Simon D. Davies like this. But I think you’d be better off reading stuff written by those who’ve successfully climbed the mountain. Good luck with your venture. Although if you already believe it’s going to fail then why continue? If you don’t have a vision of it growing into a great business and it violates the CENTS commandments, then it might be wise to cut your losses. And start something fresh with the knowledge you’ve gained. Based on previous sales, I hope to make £500-£1000 in Christmas sales, so this will help recuperate some of my investment. But yes I will be cutting my losses after, currently coming up with a business idea that will be much more CENTsworthy atm! RoadTrip and Simon D. Davies like this.